If you are interested in the history of our surroundings, this group may be for you. The aim of the Group is to delve into the history of local areas by visiting local historical places and arranging guided tours or having a speaker on a topic of local historical interest. Meetings are held on the last Thursday in the month. 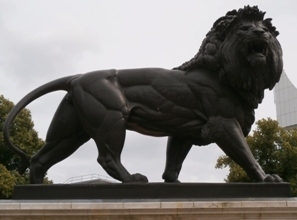 We have recently visited Reading Museum with a tour of some of their archives not generally available to the public, we have followed the historical walks through Windsor and Eton, visited the Reading Abbey remains now open to the public, and learnt about the history of St. James church in Finchampstead. Further visits are planned to the Kedermister Library in Slough, and the Maidenhead Heritage Centre. David Lewis from Windsor came and talked to us in February about Life in Medieval Windsor, and we learnt a lot of fascinating information about the history of a place most of us know quite well. Windsor is built on a chalk outcrop surrounded by London clay, with some river silt more suitable for growing crops south of the town. The castle began as a wooden building in 1160, with further major building works in the 13th, 14th and 15th centuries so that it became a classic castle town with copies in Paris and Prague. By 1400 the population had grown to 2,000 and it was the 35th wealthiest town in England. Eton College was founded in 1440 and the Town Hall was finished in 1691, but all local records have been lost since then. 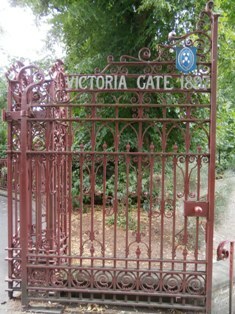 However, land deeds are still held by St. Georgeâ€™s and Eton chapels, and provide a useful record of Windsorâ€™s past. In medieval times, Windsor was the third most important religious centre in the country, preceded only by Reading Abbey and Canterbury Cathedral. Henry VI was a very saintly King, murdered by his brother and buried in St. Georgeâ€™s Chapel. Many people then came on pilgrimage to the Chapel, bringing money into the town so that it became relatively prosperous. Windsor was popular as a place of pilgrimage as it was only one dayâ€™s travel from London, whereas Reading and Canterbury were further away. 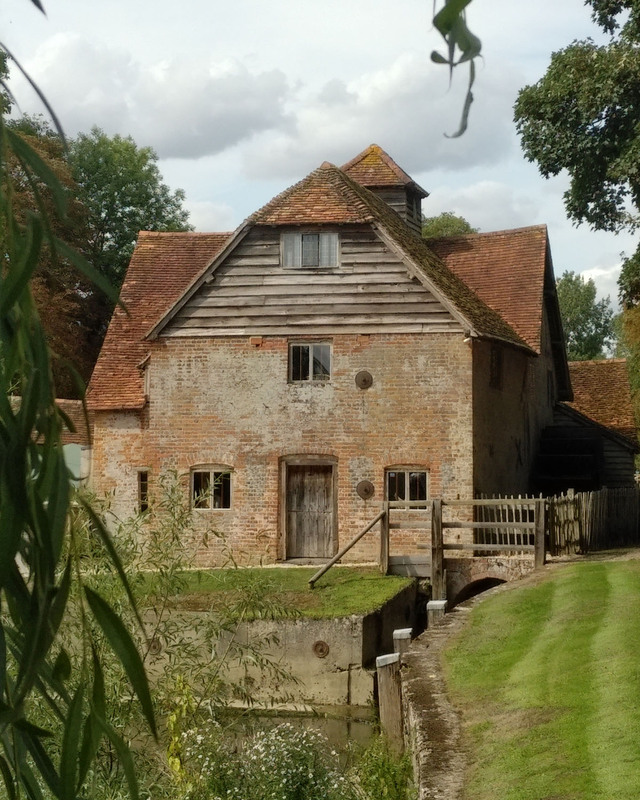 Group members visited Mapledurham Mill on the north bank of the Thames opposite Purley. 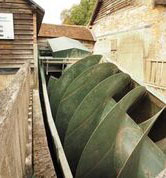 During the last few years an extensive restoration programme has allowed the mill to grind flour in the traditional way. A modern introduction is the turbine driven by the flow of water in an Archimedes screw, which generates electricity with any surplus being sold to the National Grid. This photo taken on the stones floor shows millstones bottom left and right. 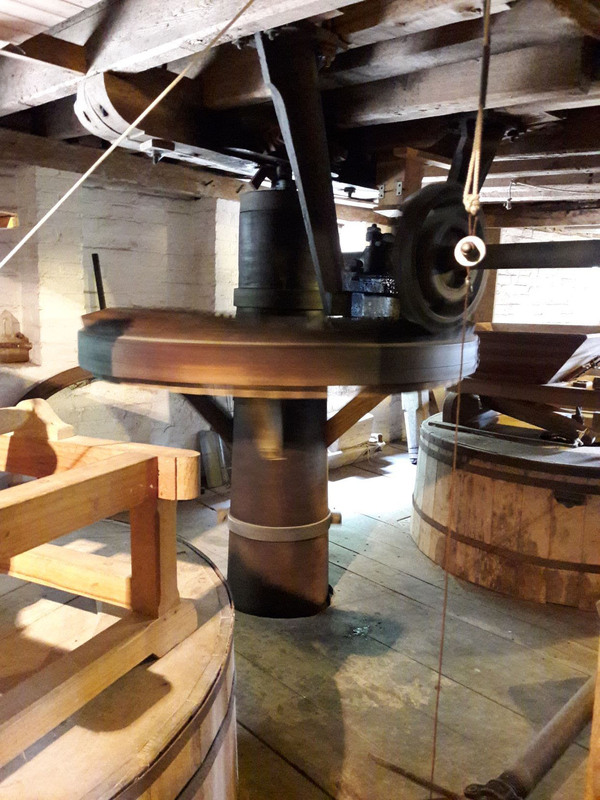 In the centre the large vertical drive shaft is rotating at speed to turn the millstones and to power ancillary equipment within the mill.